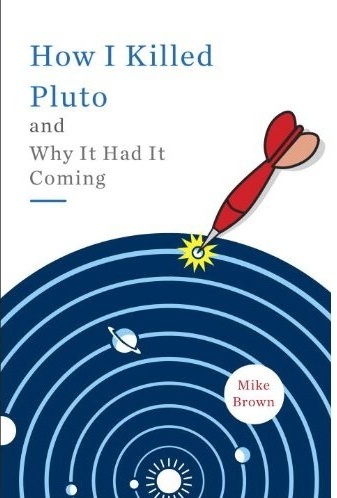 Mike Brown's Planets: The first of the Pluto books! The first of the Pluto books! My preview of the reviews for The Pluto Files: The Rise and Fall of America's Favorite Planet by Neil DeGrasse Tyson and The Hunt for Planet X: New Worlds and the Fate of Pluto by Govert Schillng is in the September issue of Physics Today. Or you can read it here. Based on Ethan Siegel's review, I'd decided to give the Schilling a miss, but you've convinced me. I liked Tyson's book. The other book I'm aware of is David Weintraub's "Is Pluto a Planet", about which I have mixed feelings. Although it was mostly written before the 2006 IAU decision (and in apparent ignorance that it was on the horizon), the latest edition has a post-2006 postscript. So, either we can have consensus on Pluto, or we can combat global warming. What a terrible choice for the human race! I must admit, is the chapter he devotes to Planet Nibiru. Haven’t heard of that one? That’s OK: it doesn’t actually exist, except in the minds of pseudo-scientists and conspiracy theorists. I get questions about Planet Nibiru all of the time, but I’ve never read a coherent explanation of what it is supposed to be, where the alleged mythology came from, and why people talk about it until here. I picked up a recently published book in B&N the other day that looked something like the Search for Planet X book mentioned above, (I thought that was it, but perhaps I was mistaken), I looked for mention of any of the new dwarf planets and the only thing I found a list in the back with a few stats on KBOs. Those announced before 2005 were listed. And then I laughed because I saw Quaoar there, listed as "Quasar". :) I'll have to go back and find the title to that book! The best proof for Nibiru or any other large body in the outer solar system would be for Mike Brown, or one of his colleagues, to find it in their telescopes. Until that happens, it's just speculation. Sites like the "Binary Research Institute" suggest that the existence of a binary companion to the Sun can be inferred geometrically from the Earth's precession cycles. But again, until it turns up in someone's telescope, it's merely hypothetical. I'd love it if they could find it, but I'm not losing any sleep over it. As for 2012, any body large enough to cause havoc on Earth would be plainly visible by now, even without a telescope. Therefore, I'm not losing any sleep over that, either. Reader's Digest called my own book Where Did Pluto Go? (Tyson wrote the foreword). Aimed at a general audience, it uses the demotion of Pluto as a launchpad to show how ideas about the solar system have constantly changed, either due to discoveries or a change in perception.